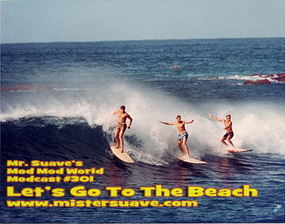 In the summer of 1982 I met my first real bonafide mods -- surfers every one of them. They were from Huntington Beach and during the day dressed like most surf kids, long board shorts and maybe a shirt. In the evenings and on weekends though they were decked out in much finer attire like three-button suits, Fred Perry polos, paisley shirts, pegged pants and pork pie hats. They were just a bit older, seemed much cooler, and certainly dated more girls than I did. I was smitten by the whole look and style. Ever since then I've had a soft spot for sun, sand and surf. So, it's finally time to the shoot the curl with modcast #301. 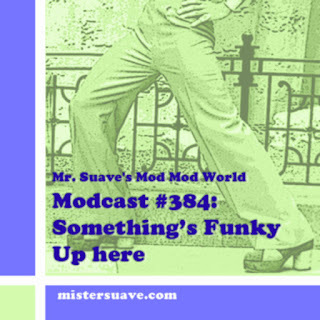 I'm serving up a whole slew of surf related sounds this week to kick off summer here in Seattle, and also to kick off the 9th season of Mr. Suave's Mod Mod World.